Honda WR-V sits well between BR-V and Jazz. The perfect balance of ride quality, impressive mileage, long list of features, high performance and striking looks is making it highly popular among the prospective buyers in India. The feather-touch air conditioner controls are very easy to use. The cooling capacity of the AC is pretty impressive and cools the cabin in no time; however, the blowers are a bit noisy when the AC is turned to high level. The driver’s side AC vent has a bottle holder in front of it, which is very handy. All the air vents come with silver accents around them. The top vent is a dummy. The side vents can be shut if you don’t want the air flow through them. The central AC vents do not have air volume control. The rear AC vents have been given a miss in this model. 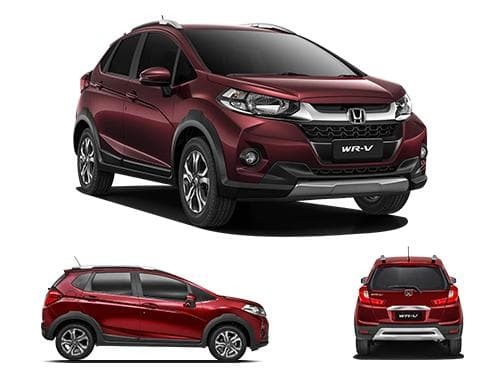 The variants of Honda WR-V that offer air conditioner as standard include Edge Edition Diesel, Edge Edition Petrol, Exclusive Edition Diesel, Exclusive Edition Petrol, S Diesel, S MT Alive Edition Diesel, S MT Alive Edition Petrol, S Petrol, VX Diesel, VX Petrol.